The following (by default pre-filtered!) 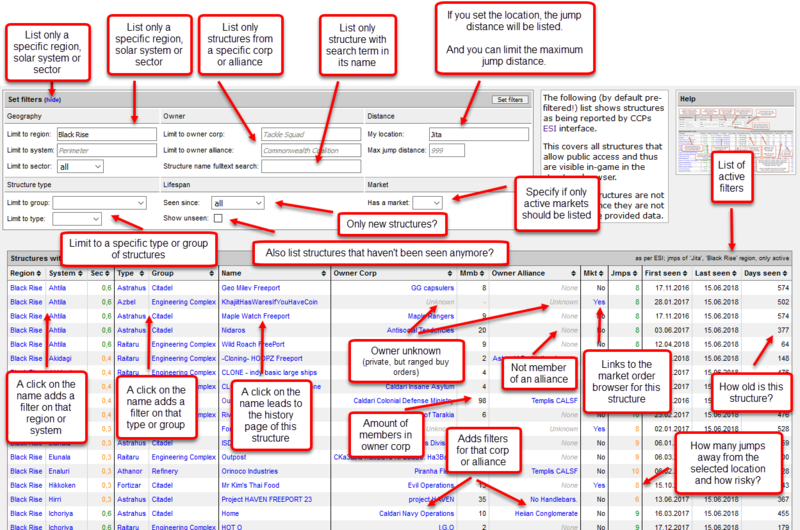 list shows structures as being reported by CCPs ESI interface. This covers all structures that allow public access and thus are visible in-game in the structure browser. Any private structures are not listed here, since they are not included in the provided data.